With Halloween coming up, most of us will be nibbling more candy than usual. At least when you eat candy, you know that you’re eating sugar, and can monitor your intake. But added sugars have infiltrated our lives in a food intake way in a covert way, from sugar-laden products like barbecue sauce, to sugar sneaked into pasta sauce to compensate for less-than-ideal tomatoes. So today’s tip is a “public service announcement”: some pointers from Dr. Nimali Fernando, a Fredericksburg, Virginia-based physician who explains why we may not be aware of our sugar intake. Adults should consume no more than 40 grams of added sugar a day. Children should consume less than 25 grams of added sugar per day, which is equivalent to 6 teaspoons. Children under the age of 2 should not have any sugar-added foods or beverages. That includes not only the sugar you put onto oatmeal and into tea, but the hidden added sugars, which can comprise the majority of sugar grams consumed daily. 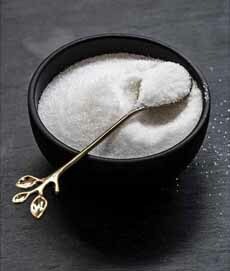 Added sugars are those sugars that have been used by the food industry to enhance a food’s flavor. These are processed sugars, compared to the natural sugars in a piece of fruit. While a piece of fruit is a good nutritional choice, packaged “fruit snacks” (the kind that come look like soft candy, for example) have added sugars. Even some foods that seem healthy may contain “hidden” added sugars, making it important to get to know the terms and become label-readers. “Added sugars” do not include sugars that naturally occur in food, for example, the fructose in fruits or the lactose in milk. Figuring out how many added teaspoons are in a food product is not straightforward. First, food labels report sugar in grams. So remember this equation the next time you look at a label: 4 grams of sugar = 1 teaspoon of sugar. To further complicate things, food labels historically have not broken down added sugar versus naturally occurring sugar. So when we look at a label on a sweetened fruit yogurt, it’s often unclear how much of the sugar comes from natural milk sugars (lactose) and fruit (fructose) versus how much extra sugar the food company has added. Fortunately, by the end of 2018 most food labels will be updated to break down total sugar vs. added sugar which will make reading a label more straightforward. A food label may not look indicate that the product has a large amount of sugar per serving. But if you look closely you may notice that the serving size is much smaller than what you may actually eat. Take the example of cereal. A typical serving size for cereal may be a half a cup, while most people will actually eat a cup or more. If there are two teaspoons of sugar in a serving, but you can eat three servings, that 2 teaspoons quickly multiplies to 6 teaspoons. What looks like an individual bottle of a soft drink often comprises two servings. That single brownie or cookie from the convenience store may also be two portions. And, who ever ate only 1/4 cup of ice cream, the portion size given on ice cream nutrition labels? Sweeteners like honey, agave and maple syrup may make a food appear healthier, but that doesn’t mean they actually are. Don’t be fooled. While they may be more natural than refined sugar, and their glycemic index may be lower, manufacturers are still adding sugar calories to the product. You can see sugar in a sugar bowl, but not when it’s hidden in processed foods (photo courtesy Hannah Kaminsky | Bittersweet Blog). 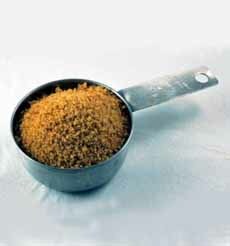 Brown sugar and raw sugar have just as many calories and glycemic index as white sugar (photo Matteo Pescarin | SXC). 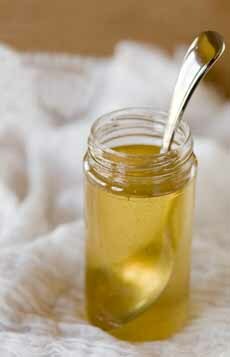 It’s the same with corn syrup and high fructose corn syrup (photo courtesy The Cupcake Project). 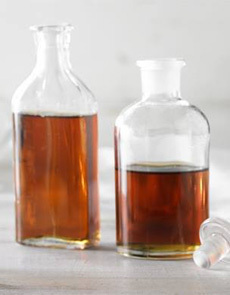 And the same with maple syrup and honey (photo courtesy Federation Des Producteurs Acericoles Du Quebec). One nutrition source reports that sugar can be spotted with as many as 61 different names. Sweeteners that behave like white sugar include barley malt, corn syrup (and HFCS), dextrose, golden syrup, maltose, molasses, rice syrup and brown rice syrup. Using different sweeteners in the same product is a great tactic to hide sugar, as nutrition labels require that the ingredients be listed by weight in decreasing order. By listing different sugar types (that may not sound like sugar in the first place), different sweeteners can appear further down on the list, making it seem like there is less sugar. Know the sneakiest foods. There are some foods that seem to have hidden sugars in them more often than others. Be aware of and read the labels carefully on such foods as granola bars, breakfast cereals, yogurt, fruit snacks, and juice. Juice is trickier because technically the sugar in juice is considered naturally occurring. However, since most juice is processed, their sugars act more like a processed food. There is nothing natural about a child drinking the equivalent of 5 apples worth of sugar. Apple juice, popular with children, contains no fiber to help slow down the absorption the way there is when we eat an apple. Skip the juice and stick with water for hydration and whole fruit for fiber and nutrients instead.